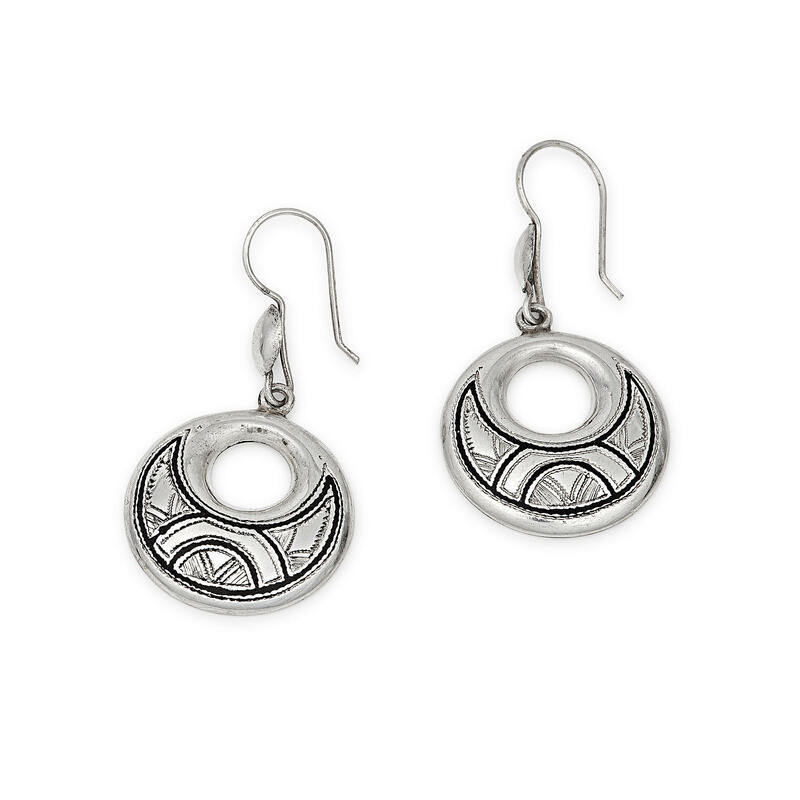 Gundara is offering you here beautiful handmade Tuareg silver earrings from Niger. Jaba means moon in one of the Tuareg languages. The caravans move in the moon shine, when the moon is "ten days old". On the sides there are caravan traces (Tafah) that show a simple map of the trade routes in Niger. Below in the middle there are triangles that resemble dunes spread by the wind. The hook of the earrings is flexible so that one can tighten it to protect it from falling out. Handmade and fair trade from Niger.